Brain haemorrhage. Computer-enhanced section through the human brain, showing an intracerebral haemorrhage. The haemorrhage (red, at right) is within cerebral tissue (blue) of the brain. A haemorrhage is the escape of blood from a damaged vessel, either internally or externally. 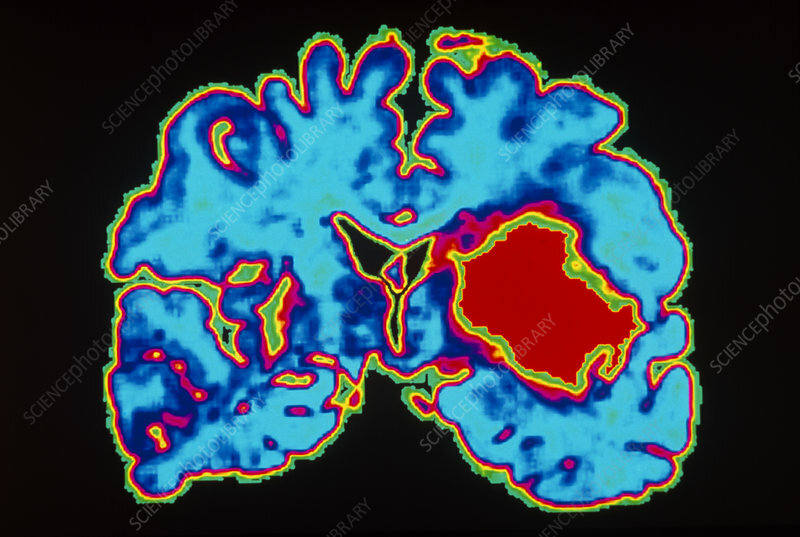 Brain haemorrhage can occur after injury (extradural and subdural haemorrhage) or is caused by the spontaneous rupture of a blood vessel (intracerebral and subarachnoid haemorrhage). An intracerebral haemorrhage is one of the 3 main symptoms of stroke. Middle-aged and elderly people with untreated hypertension are most at risk. This haemorrhage was caused by high blood pressure.